- Avent Anti-Colic AirFree Ventil 2 Baby Bottles 125ml 0 Month and + is a baby bottle with slow flow teat, AirFree valve, for babies of 0 Month and +, specially designed to reduce colic, gas and reflux. The AirFree teat stays full of milk, even when the bottle is horizontal, allowing your baby to sit more naturally to drink to reduce ingested air and reduce reflux for a breastfeeding more pleasant for you as for your baby. The teat has a good shape enhancing the suction, while its grooved texture prevents it from crushing, for a comfortable and uninterrupted feeding. 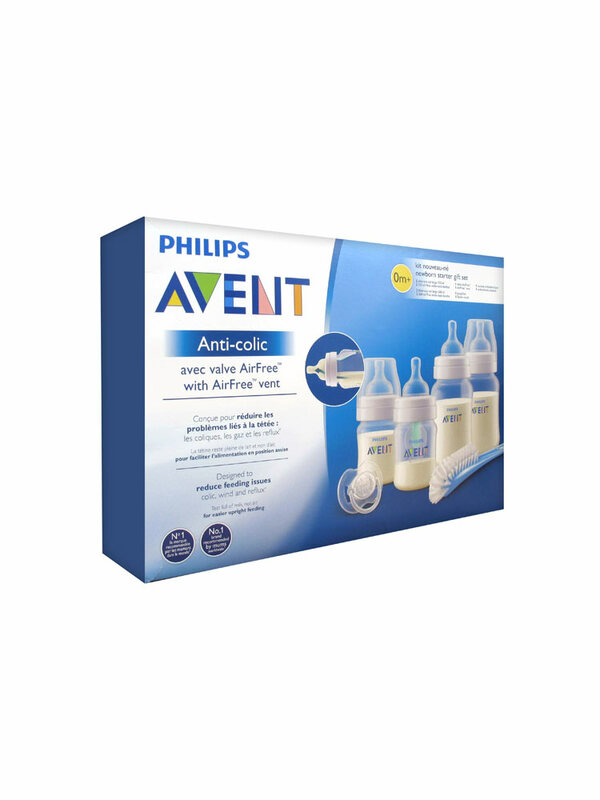 - Avent Anti-Colic AirFree Ventil 2 Baby Bottles 260ml 1 Month and + is a baby bottle with slow flow teat, AirFree valve, for babies of 1 Month and +, specially designed to reduce colic, gas and reflux. 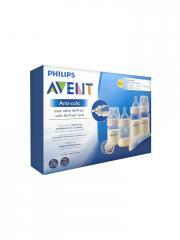 - Avent AirFree Ventil to insert it into each bottle (only 1 in the kit). - Avent Bottle Brush to clean baby bottles simply and easily, in depth, and reach hard to reach areas. - Advent 1 Orthodontic Dummy 0-6 Months with soft silicone teat. Flat and symmetrical, it ensures a natural growth of the palate, teeth, and gums. Clean thoroughly and always sterilize each bottle before use. Sterilisation enables to protect your baby for particularly harmful bacteria that are existing in the milk, until his/her immune system is strong enough. Indication: Baby bottles and accessories for babies over 0 month.